If you’re anything like me, you’re probably only eating whole olives in a chopped Greek salad or on top of a cauli-crust pizza (or perhaps in the bottom of a martini). But there’s actually a pretty good argument for grabbing a jar on your next Trader Joe’s run—like the olive oil they generate, whole olives are a simple way to add a hit of nutrients and flavor to pretty much any savory meal. As The Domestic Dietitian Brynn McDowell, RD, points out, these tiny fruits (yup, they’re fruits!) are a staple in the Mediterranean diet for a good reason. Research indicates that this way of eating slows the aging process, promotes longevity, and boosts good gut bacteria, which is why it’s a favorite of doctors and nutritionists. Of course, olives alone aren’t responsible for all these perks. But it’s safe to say that they pull their weight alongside the rest of the diet’s key foods, given all their healthy attributes. McDowell points out that, like olive oil, olives are rich in monounsaturated fats, which fall under the “healthy fat” category. “Monounsaturated fatty acids have been linked to decreased inflammation and a reduced risk of heart disease,” she explains. But there’s one caveat: You’ll be getting considerably less fat if you opt for whole olives as opposed to olive oil. “Olive oil is made up of 100 percent fat, while olives contain about 20 percent fat,” says McDowell. That said, she adds, whole olives also contain a little bit of fiber (0.1 g per one large olive) whereas olive oil has none. So consider your health goals and your doctor’s recommendations, and keep those facts in mind when portioning your olives and oil. If you aren’t getting the recommended 18 mg of iron a day—or 32 mg, if you’re vegan—you might want to consider adding olives to your snack rotation. “Black olives are a good source of iron, which is important for carrying oxygen to our red blood cells,” says McDowell. (One tablespoon of olives has 0.53 mg of iron—about 3 percent of your RDA.) She adds that you’ll also get a bonus hit of copper whenever you eat an olive—a mineral that may reduce the risk of heart disease. Olives contain vitamin E, polyphenols, and other powerful antioxidants that can help protect the body against the stresses of modern life. “Antioxidants help fight harmful free radicals in the body,” explains McDowell. “Free radicals can lead to oxidative stress, which has been linked to heart disease and certain types of cancer.” It’s really hard to avoid free radicals—our bodies produce them naturally and in response to our environment—so the more antioxidants you can eat, the better. So for those of you that are all tl;dr…yes, olives are pretty healthy. Black vs. purple vs. green olives: Is one healthier than the other? 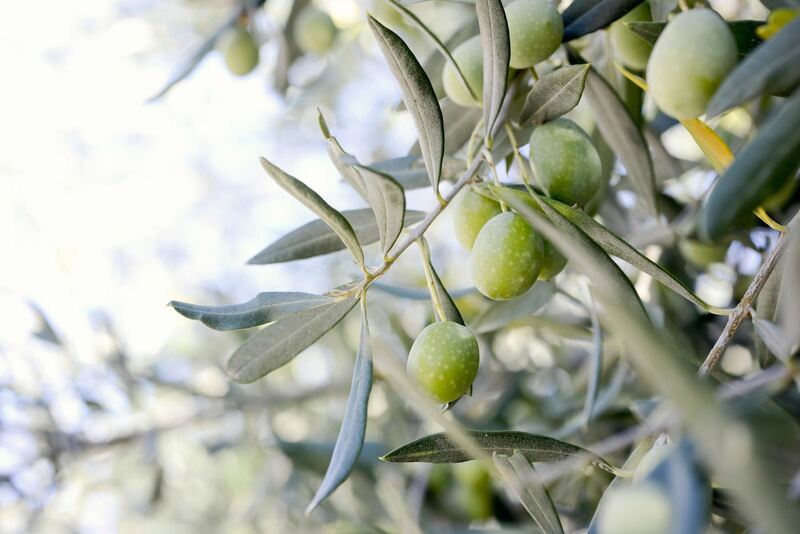 Manzanilla, kalamata, Niçoise—there are a ton of olive varieties out there, sourced from Europe to the Middle East to California and beyond. And because of this, no two types will be exactly the same, nutritionally speaking. “Because raw olives are often bitter, they are cured and fermented before eating, which can make slight changes to the nutrient levels among different varieties,” says McDowell. But, in general, these changes aren’t significant enough to say one variety of olive is definitively healthier than another, she says. Oh, and in case you were wondering, green olives are picked before they’re ripe, while deep purple-black ones ripen on the vine before being picked. (This doesn’t have any major bearing on their nutrient profiles, however.) As for those mass-produced black olives that you see in the grocery store? They’re actually green olives processed with oxygen and iron so they darken. Is there anything unhealthy about olives? Olives clearly have a few things going for them. But they’re not all created equal, which makes answering the question Are olives healthy? a little complicated. See, the curing process involves sodium—sometimes a lot of sodium—so if you’re trying to limit your intake, McDowell recommends buying olives in a jar, which will have a nutrition label outlining exactly how much sodium is inside. “The self-serve olives at the vegetable bar in most grocery stores don’t always have that information available,” she says. And that means you could be on the fast track to a sodium hangover without even realizing it. Any tips on how to cook with olives? If that hasn’t convinced you, a) you’re wrong and b) she’s got more suggestions. “You can also use olives to make Muffaletta, which is a popular sandwich spread in New Orleans that combines olives, shallots, garlic, and herbs,” says McDowell. “They also punch up the flavor of pasta and go great in many salads as well.” In other words, they’re way more than just a bar snack or pizza topping.